After lenghty negotations, la Fédération des entreprises d’insertion - France, in consultation with work integration networks, succeds to integrate connection between “alternance” (sandwich system) and work integration in the Interbranch/Interprofessional national agreement (ANI) on the personal training signed by social partners. The 3rd edition of the National Conference on Social Entrepreneurship took place this on November 24th 2017 in Tekwill, Chisinau, Moldova. It is the most important event of the year in Republic of Moldova for all actors of social economy. The overall objective of the conference is to strengthen the role of social enterprises as promoters of positive change towards an inclusive society. The conference gives participants the chance to extend their network, to interact with various local and international experts from Belgium, Hungary, Croatia, Austria, Romania, who will motivate by inspiring and entertaining speeches other social initiatives. The event also allows the opportunity to know closely successful stories via an exhibition of Moldavian social enterprises. In his speech on « Democracy and social enterprise » Xavier Roberti - representing ENSIE member Groupe Terre from Belgium - explained the guidance of participative management based on the experience of their social enterprise. Moldova has to face a crucial challenge, as social enterprises – which are living a thriving phase – still struggle with social and cultural changes and corruption in public authorities which affect the economic system. The good news is that a bill was passed a few weeks, introducing tax incentives and inducements from the local public administration authorities in order to promote the development of social entrepreneurship. ENSIE congratulates "Eco-Razeni" and its president Sergiu Gurau for their remarkable work and hopes to welcome them as members of our network soon. In November the Luxembourg Justice Minister gave clear indications as regards the evolution of the law on non-profit associations and foundations, which will evolve in the direction of greater legal certainty, administrative simplification, greater transparency and greater consistency. ULESS is working in order to support social and solidarity economy organizations wishing to concretely envisage a transition from the non-profit organization and / or foundation to the social impact society scheme. Find more information here. 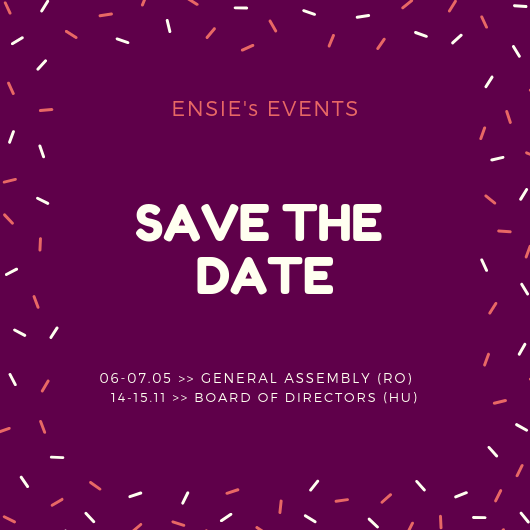 ENSIE supports Romanian civil society organisations! On August 4th 2017, the Government adopted an ordinance (60/2017) which includes, together with several very welcomed social protection measures for persons with disabilities, a set of decisions with extremely negative consequences on their employment status. These decisions refer to immediate changes in the implementation of the quota system. More concretely, from September 1st 2017 the companies or institutions with over 50 employees, who do not hire at least 4% of persons with disabilities (known as the “quota system”), lose their option to buy products from sheltered units (most of them being social economy enterprises). Instead, they only have to pay a financial penalty to the State budget, compensating this lack of compliance with the quota regulation. By consequence this ordinance will put in danger the existence of approximately 740 Romanian sheltered units, who employ 4000 workers, among which 2000 are persons with disabilities having reduced employability chances on the free market. ENSIE and its members Chantier Ecole, La fédération des entreprises d'insertion and RES will be pleased to welcoming you with arbeit plus. The vidéo (FR) of the network's National Meetings which took place in March in Nancy is available online. The seven French Work Integration networks swing into action to make training a priority in integration pathways. Their proposals have been listed in this dossier (FR). The main changes concern the creation of a certification for social Economy initiative, the certification for Work Integration Social Enterprises and the possibility for WISES to benefit from a complementary subvention. 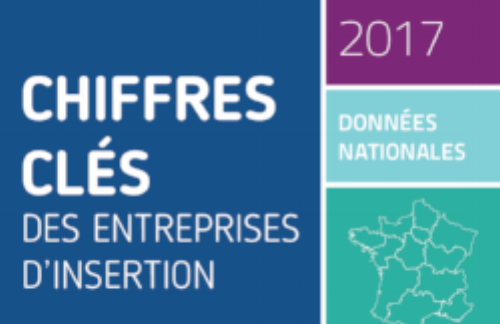 New publication « Osez, osez entreprises… » dedicated to innovation in WISEs. Find there the record of 9 enterprises. From the 15 to the 18 June took place the Proximity Biennal in Bologna, for which the CSAL is organiser. 'J'ai plus' - You also want to 'Have more'? Very interesting initiative from our member RES - Réseau d'Entreprises Sociales: 'jaiplus' (Ihavemore) developped to offer opportunities to WISEs workers and professionals aiming to increase their purschasing power ! It is with great pleasure that the Board of Directors members of ENSIE actively participated in the 8ièmes rencontres nationales de Chantier Ecole organised by our member in Nancy on March 16 & 17. This case study is part of a collection of 'Social Investment' case studies published by Social Platform in cooperation with its members and includes the example of an initiative from our member FAEDEI. EVT will host 4 persons from ENSIE network. The results of the study 2015 concerning the social and economic impact of WISEs in Spain is now available online ! Check our dedicated webpage on Social and Economic Impact Measurement.